Lisa Paitz Spindler » Congrats Heather Massey! Earth is dying. Nick Venture, the last living descendant of Christopher Columbus, embarks on a dangerous mission to find a new planet and save humanity. This places him on a collision course with Raquel Donovan, the deadliest pirate in the galaxy. The two adversaries find themselves irresistibly drawn to one another. 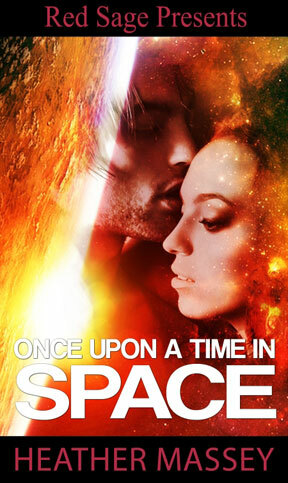 But the conflicted pirate’s deepest secret could tear the couple apart even as humanity’s time runs outâ€¦. It’s going to be all space pirates all the time coming this March! Thanks for the wonderful shout out, Lisa! The border is a lovely touch–you rock. And I know The Spiral Path will, too!